You might be asking, "What is continuity?" But don't worry, it's quite simple! Continuity means, are two things electrically connected. So if two electronic parts are connected with a wire, they are continuous. If they are connected with cotton string, they are not: while they are connected, the cotton string is not conductive. 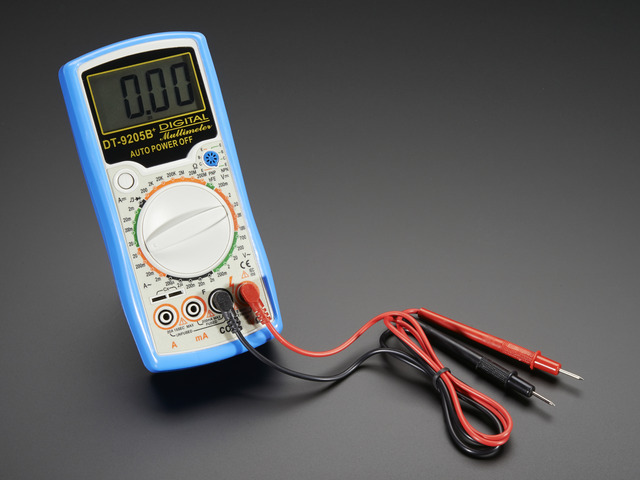 You can always use a resistance-tester (ohmmeter) to figure out if something is connected because the resistance of wires is very small, less than 100 ohms, usually. However, continuity testers usually have a piezo buzzer which beeps. This makes them very useful when you want to poke at a circuit and need to focus on where the probes are instead of staring at the meter display. For some basic circuits you can just look to see where the wires go to determine continuity but it's always wise to use a multimeter. Sometimes wires break or you're tired and can't easily follow all the PCB traces. I use continuity check all the time! Determine if a wire is broken in the middle. Power cords and headphone cables are notorious for breaking inside the shielding, it appears as if the cable is fine but inside the wires have been bent so much they eventually broke. Making sure something isn't connected. Sometimes a solder joint will short two connections. 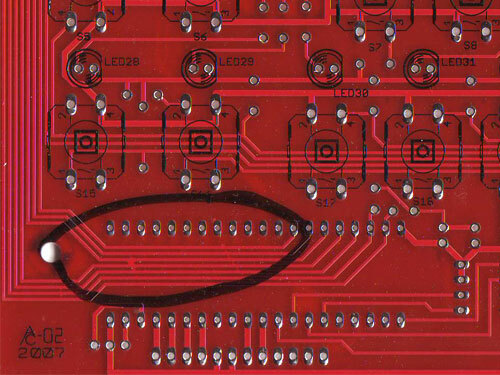 Or maybe your PCB has mistakes on it and some traces were shorted by accident. Always test to make sure your meter is working before starting the test by brushing the two tips together, and verifying you hear the beep. Maybe the battery is low or its not in the right mode. Continuity is non-directional, you can switch probes and it will be the same. 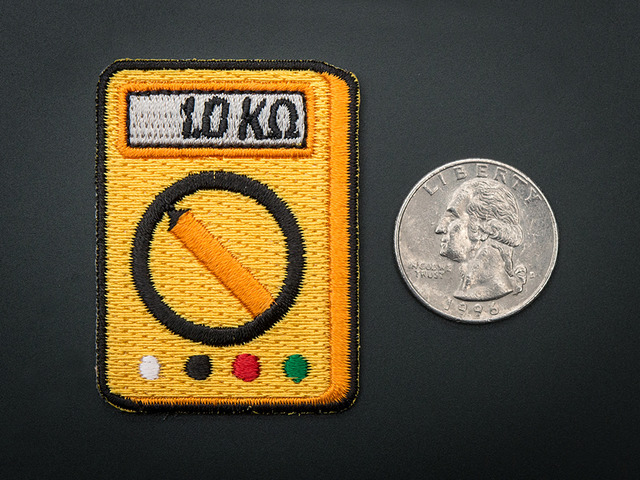 Small resistors (under 100 ohms or so) and also all inductors will seem like short circuits to a multimeter because they are very much like wires. Likewise, continuity doesn't mean "short" it just means very very low resistance. For example, if you have a circuit that draws an Amp from a 5V supply, it will appear to be a 5Ω resistor. If you measure that with your meter it will think its a short circuit, but really its just a high-drain circuit. 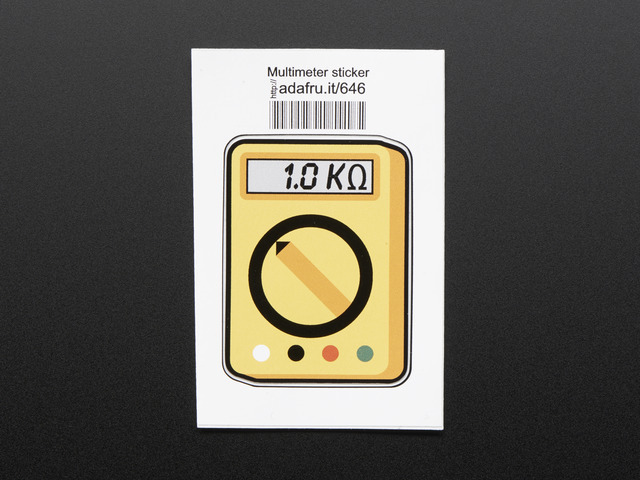 Turn the multimeter knob so that it points to this symbol. 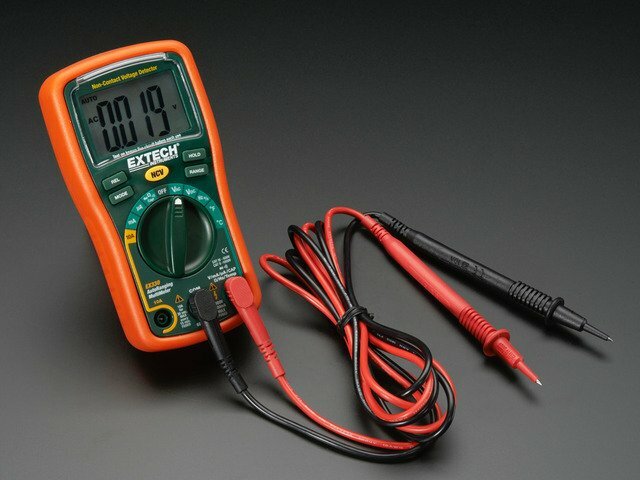 For a majority of multimeters, you're ready to go, just touch the tips of the probes together so that they make a beeping sound! This meter is very simple. When the probes are not touching, the display shows "1"
When you touch the tips together, the display changes to a three digit mode (it's displaying resistance, which we will cover later) It also emits a beep. 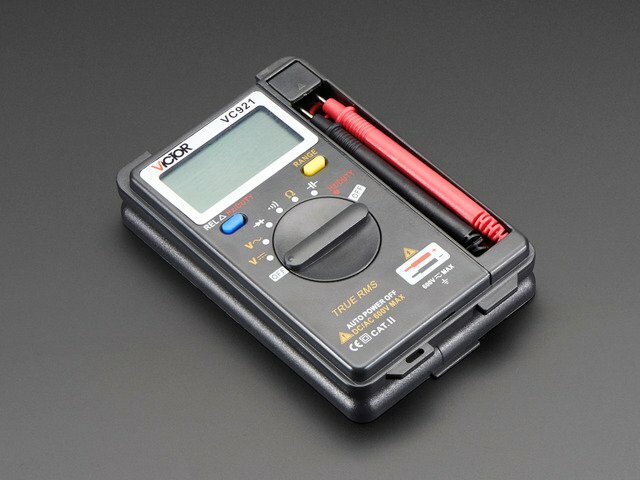 This meter is dual-mode but still very easy to use. Turn the dial to the symbol. When the probes are not touching the display shows "OL" which stands for Open Loop. (Open loop is another way of saying there is no continuity). When you touch the probes, the soundwave icon shows up in the display (upper right) and it also shows a number. The number is not the resistance, actually…its the voltage (look for the V in the right hand side for Volts). This is because this mode is also a Diode Test (which will be discussed later). This meter is triple-mode and requires an extra step to get to the continuity function. Click on the image to get a closer view of the triple-mode. After you dial to this mode you must press the Mode button, the wave icon will then appear in the display. You can see the wave icon in the top right as expected. This meter also displays OL (I've noticed that nicer meters do this). Unlike the other meter, this one displays Ohms (see the symbol on the right of the display). The resistance is low (4.7Ohms) but not 0 (the ideal value) because the probes and wires act as resistors. Usually with these sorts of meters they will beep whenever resistance is under 100 ohms or so. Here is an example of testing a PCB for continuity.The first test shows that the two points are not connected. The second test shows that these two points are connected. This guide was first published on Jul 29, 2012. It was last updated on Jul 29, 2012. This page (Continuity) was last updated on Apr 23, 2019.